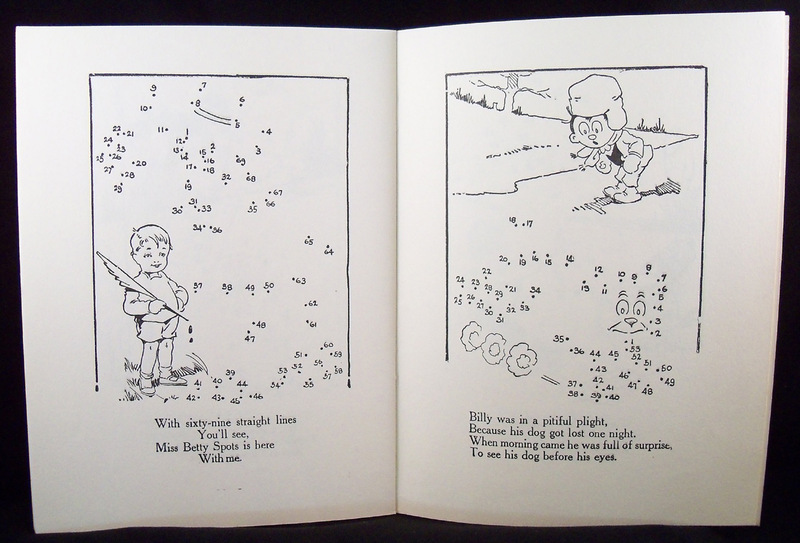 Billy Spots Puzzle Dots is one of the oldest dot-to-dot books in David Kalvitis’s collection. David has spent over 10 years searching for these classic books with over 50 in his collection so far. 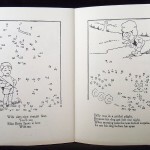 Billy Spots Puzzle Dots, 1939 copyright softcover from Platt & Munk. The original (by Henry Altemus Company) was hardcover and printed in 1917. I believe the author is J.L Gallagher as stated in a Google Book search (Catalog of Copyright Entries). His/Her initials are on the covers and a lot of the individual puzzle images. Other puzzle books in our collection with the same initials are Piffle’s Pastime Dot Drawing Book, Piffle’s Mother Goose and Willie Wuzzle’s Picture Puzzles. 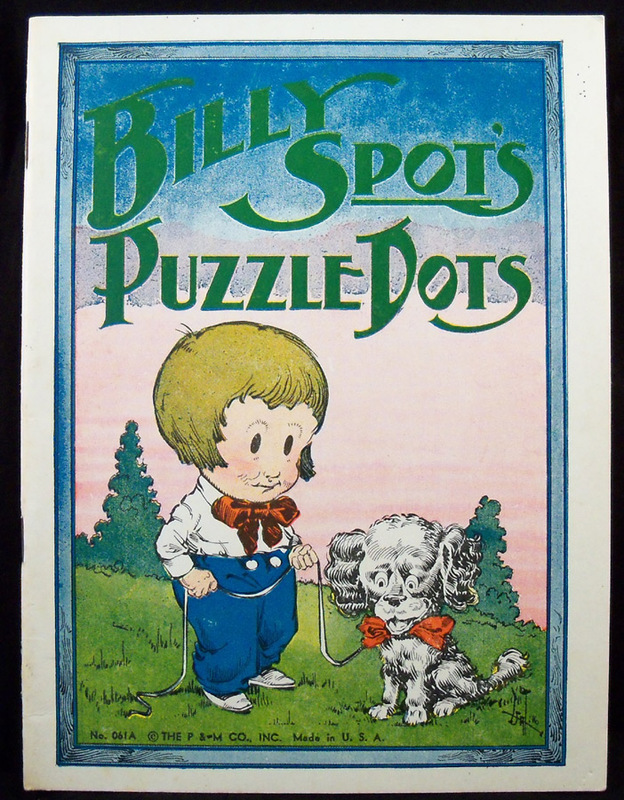 This Billy Spots Puzzle Dots book size is 5 7/8″ x 8″, a common size for the decade. 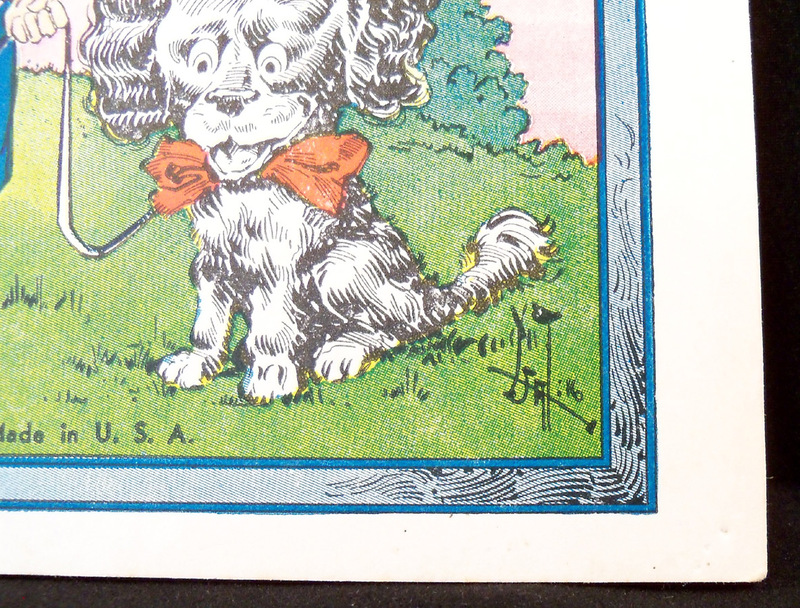 The puzzles are only 4″ x 5″ but the illustrations around the dot-to-dots are detailed. Many of the images are not recognizable until solved, just like David’s. This is rare for older dot-to-dot puzzles. Billy Spots Puzzle Dots has the same instructions as the J.L Gallagher books. 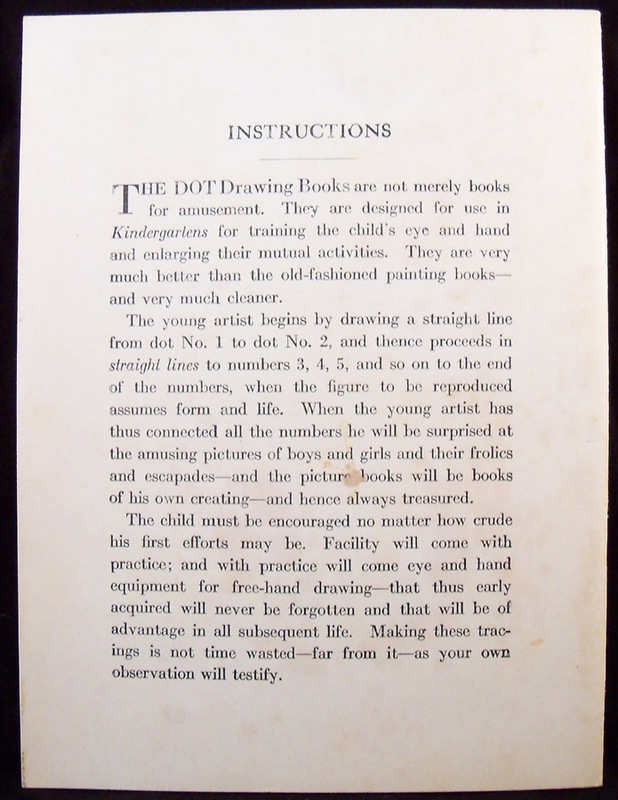 This version says “The DOT Drawing Books.” However, the original says “The Altemus Drawing Books.” The puzzle book seems to focus on teaching “young artists” at kindergarten aged, even though some of the instructions are built into the story.